“The liver has a defined architecture inside. It looks like a single piece of tissue, but in fact the liver has a highly regimented architecture that segments it into several pieces that can each become a fully independent liver,” says Jean Emond, MD, Chief of Transplantation at Columbia. This unique regenerative ability of the liver means an active, healthy person can donate a portion of their liver without long-lasting consequences. This game-changer in the field of transplantation is called living organ donations, an area that Dr. Emond has pioneered. Although most transplanted livers in the United States still come from deceased donors, livers from living donors constitute a small, but important percentage of donations. “The main benefit of receiving a liver transplant from a living donor is the elimination of the waiting time that is common for patients that receive a liver transplant from the waiting list,” says Adam Griesemer, MD, a liver transplant surgeon at Columbia. 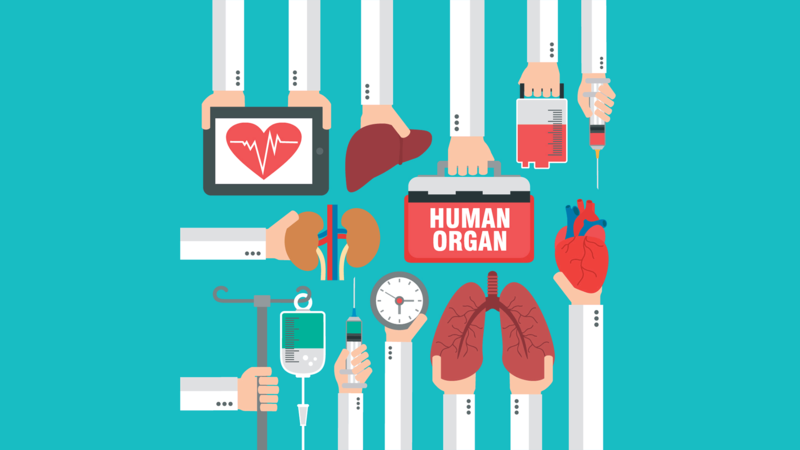 Because the mainstay of organ donation is from deceased donors, the waiting time to receive a liver transplant is affected by factors such as organ availability and the viability of the donor organ. Deceased donors tend to be older and more critically ill, which means that their organs may not actually be suitable for transplantation. While a small percentage of liver donations, living donors offer substantial advantages over deceased donors: reduced waiting time and fewer potential complications from liver transplantation. “Living donors are selected carefully. They’re healthy people, and they go through an extensive medical screening to make sure they are able to donate with a very high degree of safety,” says Dr. Emond. Through medical imaging and 3D modeling, transplant surgeons can carefully plan which part of the donor liver is best for transplantation and safe for the donor. Because living donors are healthy, and the conditions for obtaining the liver tissue are optimized, the results of living donor liver transplantation are generally better than deceased donor transplantation in terms of both immediate outcomes and long-term survival. “The donors are loved ones, usually, close friends, and in many cases, anonymous—what we call ‘altruistic donors’ who come forward wanting to save a life,” says Dr. Emond. “Often, the greatest barrier is the recipient is hesitant to ask another person to undergo a surgery. However, it is surprising how many people respond favorably once approached about the possibility of being a donor,” says Dr. Griesemer. Without liver transplantation, 5-year survival rates can be below 5 percent, depending on the severity of the liver disease. With a living donor liver transplant, the 3-year survival rates for adult patients can reach 96.67 percent. For children receiving transplants, the 3-year survival rates near 100 percent. “These donors have done heroic, memorable sacrifice to save the lives of their families and loved ones, and we can’t express our gratitude and appreciation for what they’ve done,” says Dr. Emond. Learn more about Living Donor Liver Transplantation at Columbia.